If you’re a surfer or want to become one then this is your chance to spend the day surfing in Newquay for the day without the hassle of driving the 6 hours getting there. 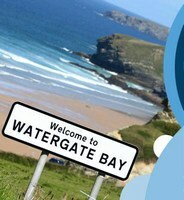 Newquay is the perfect due to its close proximity to the fantastic surfing beach of Watergate bay. Our surfing Charters also make unforgettable stag and hen do’s. Spend the day on the beach having lessons then the night out on the buzzing Newquay night life. Redhill Charter is the only approved charter operator based at Shoreham Airport and we work hard to be the most competitive in the South East. If you can find a cheaper price than us then we would like to know about it!